What can you see in San Francisco if you only have 12 hours there? It turns out -- a lot! In the past, Muir Woods had limited food options, so before boarding the bus we buy a picnic lunch to eat after our hike. Savvy visitors wear comfortable walking shoes and bring rain gear when appropriate. 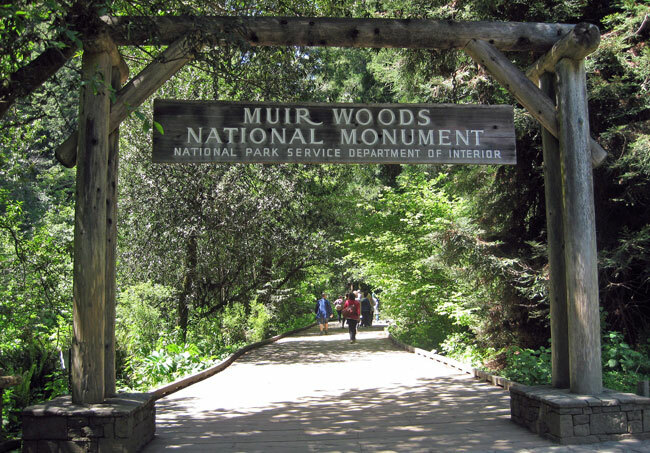 Muir Woods admission is not included in tour fare, so bring your National Park pass if you have one. In the afternoon, a different City Sightseeing bus took us to picturesque Sonoma County where dozens of vineyards dot the landscape. While tasting award-winning white and red wines at Jacuzzi Family Vineyards, we learned about the Italian Jacuzzi family history, then sampled olive oils and strolled through the beautiful grounds. We also tasted wines during an informal talk at Larson Family Vineyards where a friendly dog was part of the scenery. At our third stop, we enjoyed a humorous interactive wine tasting at Roche Winery. After a lingering visit and sampling at a cheese store, the City Sightseeing bus returned us to our ship in time for dinner. Other City Sightseeing buses will return you to Fisherman’s Wharf where you can connect to another tour, venture out on your own or ride a cable car. Tour guides say the Hyde Street cable car end terminal on Hyde & Beach often has long queues. If you walk a block up the Hyde Street hill to Hyde & North Point (or another block to Hyde & Bay), you can board a cable car without waiting. 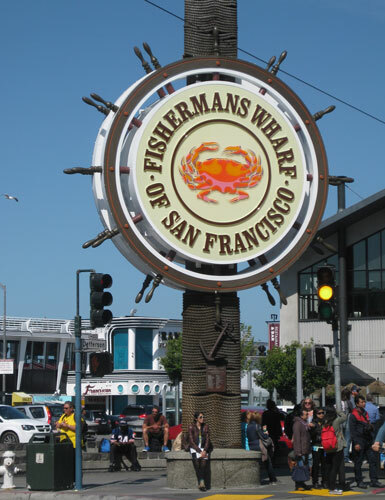 Occupying a prominent spot between the cruise terminal on Pier 27 and Fisherman’s Wharf, Pier 39 beckons tourists with a colorful array of eateries, shops, attractions, tour operators and discount booklets. First-time visitors and kids enjoy watching the sea lions and listening to their dog-like barking. Pier 39’s Aquarium of the Bay is worth a visit. Don’t miss the underwater tunnels sand outstanding jellyfish exhibit. Laurie Armstrong of the San Francisco Travel Association offers a bevy of ideas for one-day visitors. Walk to the Exploratorium, a hands-on museum for science and gadget buffs of all ages at Pier 15. Travel to the Presidio by taxi, Uber or Lyft to see the Walt Disney Family Museum, the Presidio Officers Club, and/or visit Yoda at the Letterman Digital Arts Center . Armstrong suggests using the Muni Passport in the San Francisco CityPASS to ride the California Street cable car line from the Embarcadero. Get off at Chinatown for shopping and have lunch. Or get off at Nob Hill to visit the grand hotels (Fairmont, Mark Hopkins Intercontinental, Scarlet Huntington and Ritz Carlton) and the beautiful Grace Cathedral. Ride the cable car all the way to Van Ness to see the colorful neighborhoods, and then ride it back to the Embarcadero. If you can do most of the above in a single day, you’re entitled to a relaxing dinner in one of hundreds of fine eateries or back on your ship. We returned to the Crown Princess for a lovely Italian dinner surrounded by the spectacular San Francisco city lights. Finally we walked out on deck to watch the Bay Lights, a unique nightly LED art installation, play across the Bay Bridge. Rob and I have left our hearts in San Francisco many times. 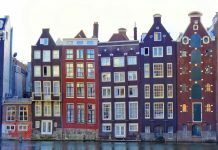 Exploring this fascinating city from a cruise ship is the easiest and most relaxing way to do it —sans worries about traffic and parking. Most cruise ships spend an entire day here. To learn more about San Francisco’s many attractions and local transportation options, visit www.sftravel.com. Author Bio: A widely published travel writer, Pat Woods encourages readers to SKI (spend the kids inheritance) on a cruise.